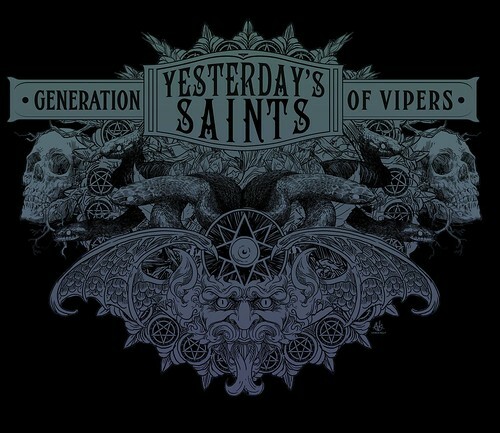 Northern Virginia based Yesterday’s Saints have been hard at work crafting their highly anticipated debut album and today it is finally released! I won’t get too into the album here, I’ll leave that to DCHM writer Tal’s review below. You can read more of Tal’s writing on his blog In My Winter Castle but first be sure to read about Generation Of Vipers and be sure to check out the video at the bottom of the review too. At risk of understating it, Generation of Vipers is much grander than your average death metal album. The album is built on a death metal base – rumbling bass, jackhammer guitars, low growled vocals – but it makes many flights of fancy outside the usual confines of that genre, including soaring clean vocals, furious thrash or power metal guitars at times, and spacey and doomy passages. This reflects and develops the grandiose theme of the album – the story of Satan and the origins of humanity and the universe. Satan is of course commonplace in metal music, but this album tells his story in the vein of Milton or Dante – grand in scope, postulating about the origins of the universe and mankind, and tragic in its focus, from Satan’s fall from heaven to the ongoing corrupt nature of man. It’s not so much heretical and subversive as philosophical and poetic. Of god you were made be free,” and then more aggressive vocals with a touch of harshness before going back to low growls. I’m guessing the low, demonic vocals portray Satan, while the more aggressive clean parts are the angel Michael. It’s a pretty cool song in terms of narrative; and the guitars, at turns pounding, furious and epic, and the contrasting vocals forcefully depict the battle. Then we have “The Recruitment,” which as one might guess, tells of Satan recruiting angels to fight with him against God. As a fan of the melodic and epic, of course I’m drawn to those parts of the album, and my favorite part on the whole album is actually the chorus to “The Recruitment”: “On the eve of destruction, follow me to battle/ as gods we will reign, high in the North.” The way the clean vocals soar above the drums and guitars truly elevate the song to epic levels. The vocals here make the song for me – especially the contrast between those clean vocals and the growls and thundering guitars. After that, there’s a change of pace with the nostalgic piano and strings interlude “A Priori” (meaning “As it was before”) and the doomy “Sangreale,” which tells of Eve being seduced by Satan to father Cain. The slowdown is very sudden after the raging energy of “The Recruitment”; it feels like we suddenly skipped over a part of the story. We did – that part was told in the first song – but it still feels like a reprise or segue is necessary here. “Sangreale” is notable for the vocal tone which is different from the entire rest of the album (think Matt Barlow, formerly of Iced Earth, if he were to sing doom vocals). Although slower, the heavy parts are still driving and headbangable. This is followed by two songs about Cain (in Christian mythology, supposedly the first-born son of Adam and Eve and the murderer of his younger brother, Abel), which are dominated by clean vocals and have a power metal feel even in some of the guitar parts. Song number 6, “Cain’s Agony,” features frequent changes in style and tempo, from the pounding, racing beginning, to a suddenly slower, almost spacy section, to churning guitars with blast drumming and twisted shrieks, and then furious riffs with grandiose clean vocals, before more shrieks and then growls. It has plenty of fast and groovy headbangable moments. After that the album branches out to cover the plight of humanity as a whole, which the album postulates are descendants of Cain and thereby of Satan. I find this part of the album less gripping than the first part which dealt specifically with the story of Satan and then Cain. There is still a proliferation of grandiose clean vocals and demonic growls, groovy headbangable riffs and death metal thunder, which makes for enjoyable listening, but it doesn’t have the epic pull of the first half of the album. As I’ve mentioned, this album reminds me of Dethklok in a number of ways, which I think bears talking more about. Yesterday’s Saints is perhaps a tad more in the direction of traditional death metal than Dethklok, but they both share a mix of traditional death metal thunder and demonic low growled vocals with more epic-sounding melodic flair. The rolling rhythm of the vocal lines and the brutal directness of the lyrics in some places of the album is also very reminiscent of Nathan Explosion’s handiwork. With Dethklok, this comes off as friendly mockery of metal’s obsession with being “brutal.” With this Yesterday’s Saints album, it adds to the album’s theatricality. 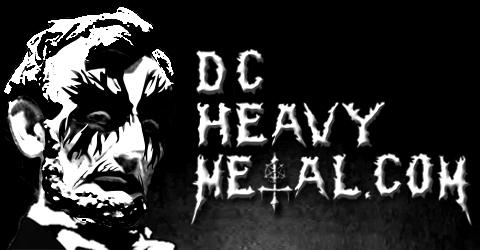 Even the death metal parts are a rarified version of the genre itself. The brutality is as much an act as the grandiosity. That doesn’t mean the album isn’t a solid chunk of death metal, though. If you’re looking for something to pummel your eardrums with the fury of hell, this album will probably satisfy you – as long as you can tolerate a lot of clean vocals and some other epic flights. It doesn’t quite reach the heights of the epic and melodic metal music that I usually listen to, but there’s enough raise it out of just straightforward death metal. Tackling the epic tale of the Prince of Darkness and the origins of humanity and the universe is a monumental task. Through a mix of brutality and grandeur, Yesterday’s Saints manages to convey the demonic, rebellious, seductive and destructive aspects of the figure of Satan, the myth that purports to explain these traits in humanity itself. I’m less convinced by the story of the universe, but I’m still willing to headbang along to it.